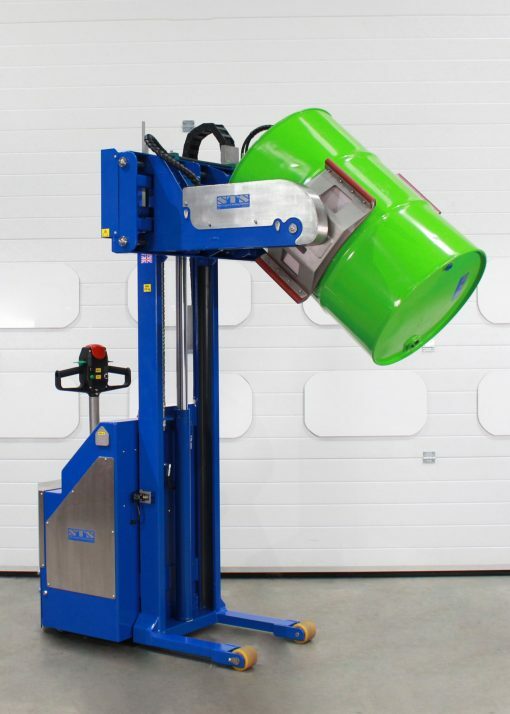 We designed and manufactured this highly versatile drum rotator to enable fast and efficient drum handling in a busy industrial environment. 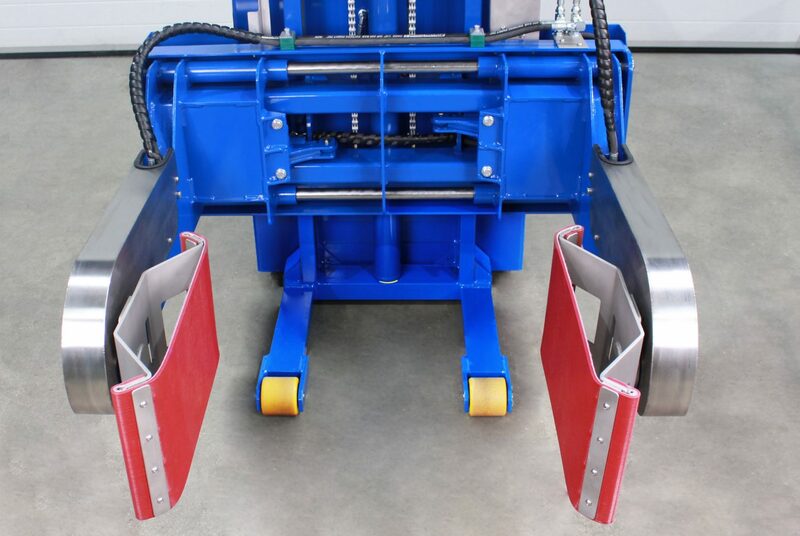 STS was tasked with the design and manufacture of an extremely versatile drum tipper for the UK manufacturing industry. 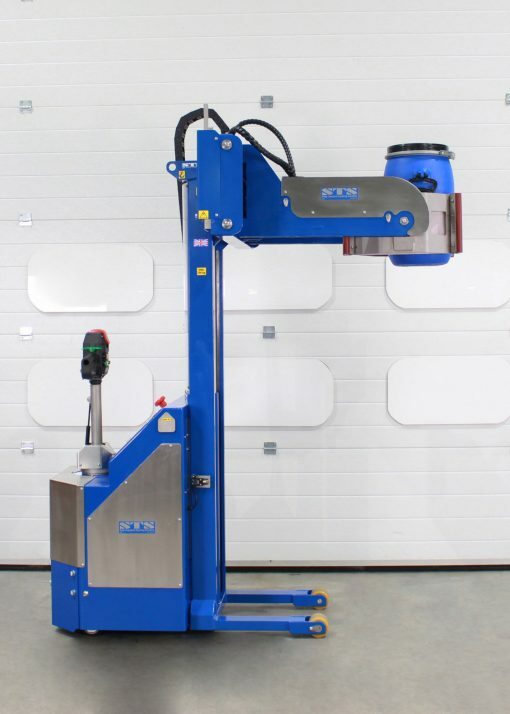 Our client needed a fully powered model which could clamp, lift and rotate drums ranging from 50 to 220 litres. 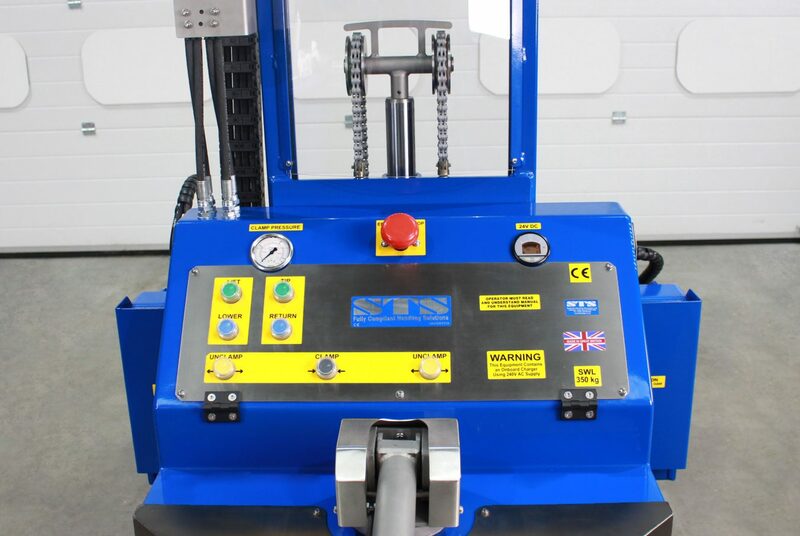 As many drums are being handled each day the customer also requested a power-drive system be fitted to the tipper, this is great for when drums need to be moved a large distance before emptying. 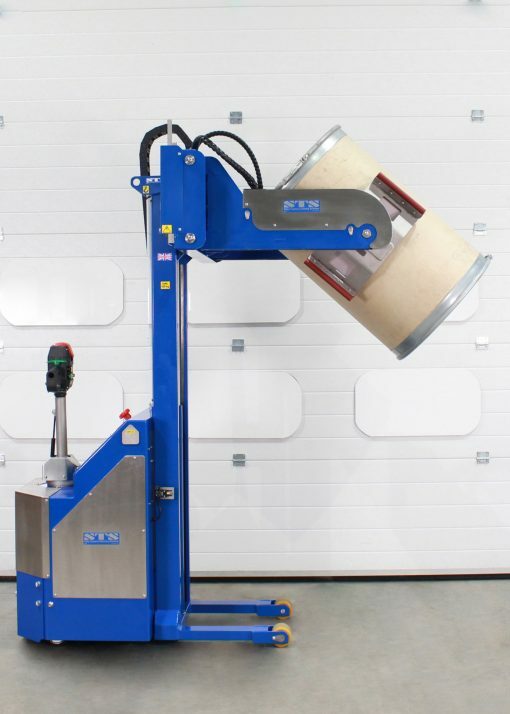 This unit handles many different types of drum including cardboard and plastic. Large MAUSER drums can be clamped with ease. front legs fit beneath an 800mm x 1200mm euro pallet. The drum cannot be un-clamped when raised above a limit-switch activation point. 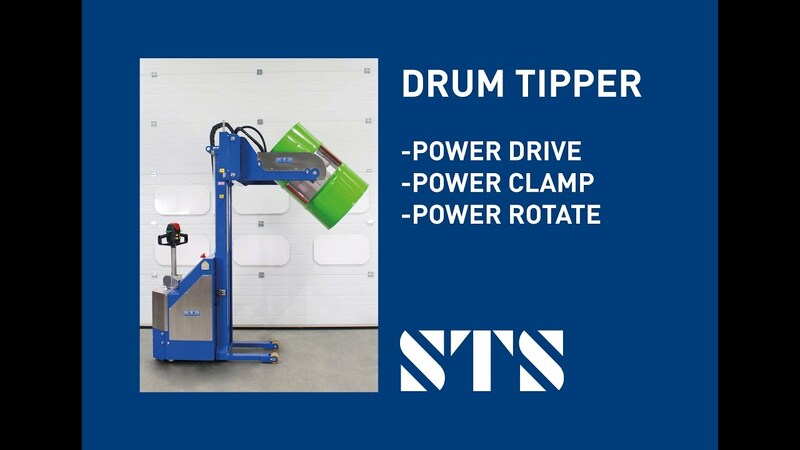 A drum cannot be tipped if the head is in the lowered position with the drum close to the ground. The power-drive tiller features an auto-drive button to protect the operator should they reverse into an object. 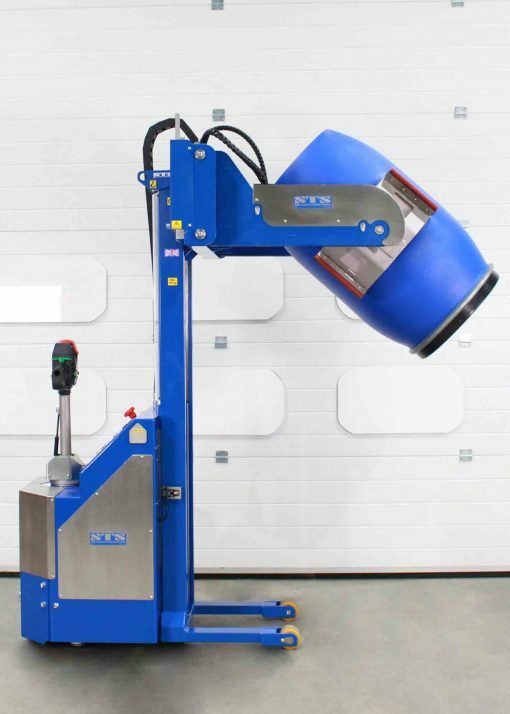 If you have a need for bespoke drum handling equipment please get in touch with our team of experts. We have many years of experience in developing tailor-made solutions, we would be happy to discuss your application.